Following a Master teacher or human scholar? People would be better off to take some more time to consider the evidence that supports the Bible’s claim to be “inspired of God.” Instead of only reading lots of theological or Christian magazines, they’ll better also should take some time to read the Real Book of Books, the Bible. Looking at all the works on Christianity and faith we must consider that they always are products of many minds and many generations. We are indebted, for example, to honest scholarship that has helped us to identify the original text of the Bible. Clearly, minor mistakes did creep into the text of the Bible as it was copied and recopied over the centuries. Remember, though: There is a big difference between recognizing that minor mistakes crept into copies of the Bible text and dismissing the whole Bible as a human fabrication. Clearly, also the works of many sincere human scholars can help us to study the Bible. Concordances are beyond of question of indisputable value for the study of God’s Word. 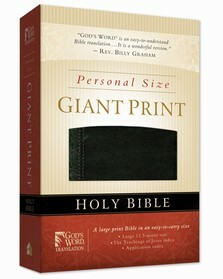 Also very important is to have some dictionaries at hand, so that as you study and you encounter words (in a bible translation) that you don’t understand or of which you have doubts of the meaning, your dictionary will help you find the literal meaning of each word,that would help you understand the text,you are reading. God also still uses humans to deliver His word. There may be many writers who are willing to let God’s Word shine in glory. God still delivers His Word to humans. Human minds hear and understand the word from God, and then another set of human minds receive it from those human mouths and again hear and understand it. That is the evangelism of which the Bible speaks. True scholars try to make sense out of what they read and hear. We can only hope that God shall enabled those who really want to discover the Truth about God, to see who is who and what happened in the past and shall happen in the future. As the Bible is profitable for teaching, for reproof or convincing we should give our ears and eyes to that evidence the Word of God gives. Only by giving ourself in the hands of Jehovah God, accepting His Word for correction, we can find correction of error, re-setting the direction of our life, and training in doing what is right. Studying the Bible can give us proof or evidence of the things happening. It should by studying it give us the confidence in the things we hope for. It means being certain of things we cannot see. Let us follow the instruction in righteousness and share this discipline that is in righteousness, informing each other of our findings, but always proving it by the Word of God. There is nothing, no one in this world more reliable than God or his Word. You can trust Him any time, any day and you will not regret it. God’s Word is the only perfect word in the world. We best trust Him the most. So whenever you hear people talking about faith matters or the Bible, do take your Bible with you and compare that what they are saying with what is written in the Holy Scriptures. If Quiet Time — ‘personal Bible reading’ — is working for you, that’s fabulous. Don’t give it up. Christian life is a community thing. The great biblical images of Christian identity are corporate and collective — images of togetherness — like family, body, and temple. The Bible is a library of community documents crying out to be accessed in all sorts of social ways. don’t pass judgment on the Bible. It’s always right, never wrong. For God has give all its contents, and there’s not a verse that doesn’t belong. God’s Word can’t be overused, because its strength is intended for the length and breadth of humanity across time. It should and ought to be quoted to encourage and guide others. However, if you’re going to quote it, please quote it right. Don’t reduce it to fortune-cookie platitudes or empty mantras. Don’t believe a single verse solves spiritual apathy or misdirection. And please don’t quote non-scriptural clichés and tell people they are in the Bible (God helps those who help themselves). consistent with the Author (shares the attributes of God). requisite and therefore available to all moral agents. properly understood (interpreted) by all moral agents. internally and externally consistent and true. practical for; all moral agents, in all places, at all times. One major thesis in Carl Trueman’s new book, The Creedal Imperative, is that all Christians have creeds. He argues well that no Christian or church simply believes the Bible. In other words, no Christian, when asked what they believe, is going to start reading Genesis 1:1 and end at the last verse of Revelation. Every church and Christian will give a summary of what they believe when asked. That is essentially their creed or confession. This entry was posted in Archaeology, Bible or Holy Scriptures, Bible Reading, Bible Study, God (English articles), History and tagged Bible, Charles Marston, Concordance, Correction, Dictionary, Discipline, Evangelism, Evidence, God, God's Wisdom, Inspiration, Reliability, Religious text, Scholar, Truth, Wisdom, Word, Yahshua, Yahweh. Bookmark the permalink.